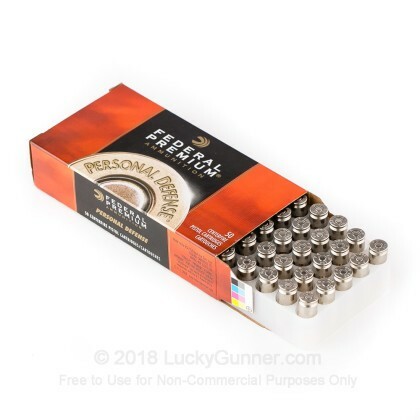 Federal's Jacketed Hollow Point ammo is an excellent ammunition trusted by carry-permit holders nationwide. 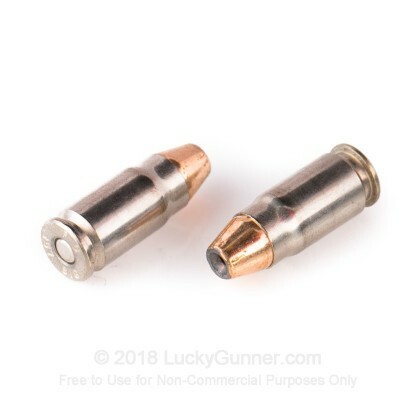 The 357 hollow point is sure to provide enough stopping power for any situation and can back up the promises they make. 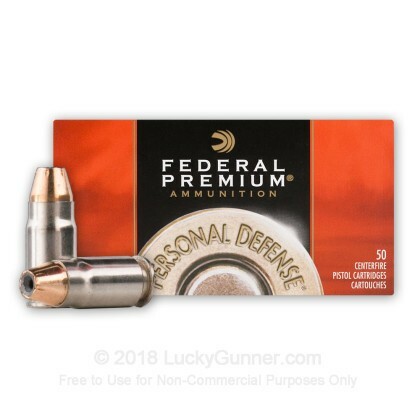 Federal is a renowned ammunition manufacturer and has constantly been chosen by LE around the country as the line to carry when it matters most. This product is brand new, nickel-plated brass-cased, boxer-primed, non-corrosive, and re-loadable. In order to find out how different self-defense handgun loads perform, we decided to do some ballistics gelatin testing of our own. 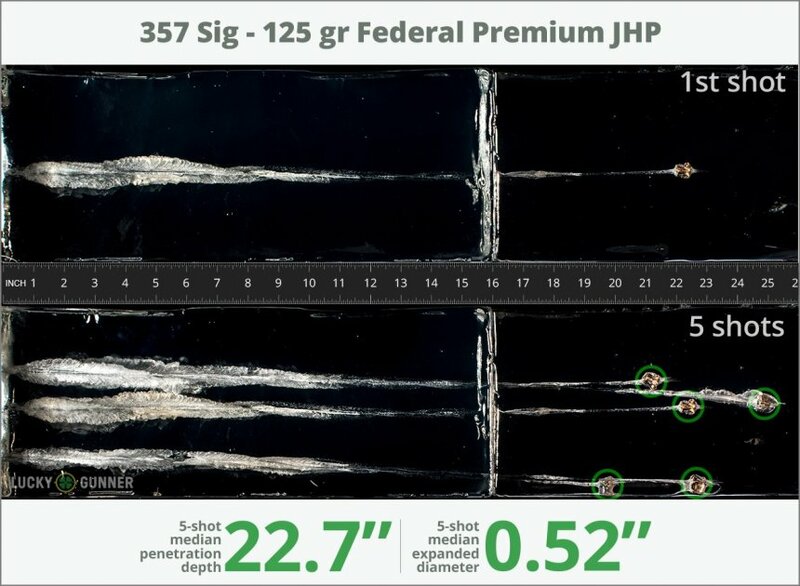 The chart below is a compilation of expansion and penetration data for Federal 125 gr Premium JHP fired from 10 feet, through four layers of fabric (to simulate clothing), using a Glock 31 pistol. The diagrams at the bottom of the page can give you an idea of how this load compares to other .357 Sig self-defense loads that we tested. 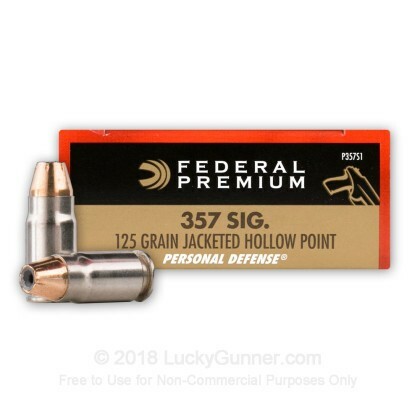 How do the results for this Federal .357 Sig compare to other 357 Sig Ammo? 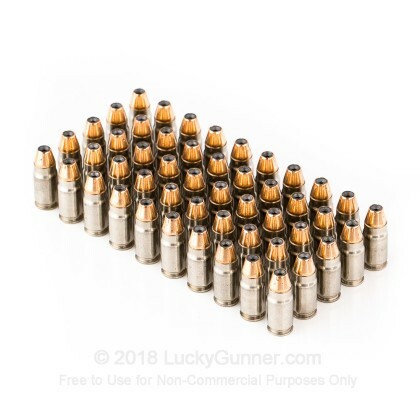 .72" This ammo: .52" Min: .45" Median: .59" Max: .72"
22.7" 0" 11.7" 18.3" 25.1" This ammo: 22.7" Min: 11.7" Median: 18.3" Max: 25.1"
I had no problems shooting this ammo, but it is rather pricy. I bought it at the height of Obama's tenure for $60/50 rounds at a brick-and-mortar store. It looks like it's come down some, but it's still expensive. I've shot another brand that I achieved better accuracy with for recreational target shooting, but this stuff still did pretty good. No complaints, other than price. A: Hello! 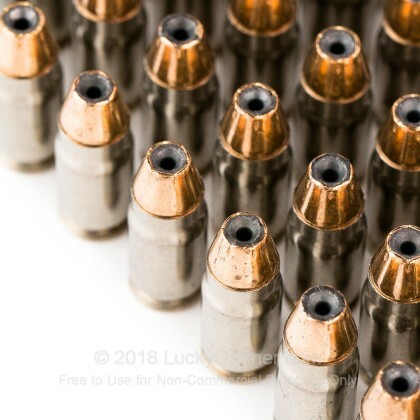 According to Federal, this ammunition features a muzzle energy of 506 ft. lbs along with the muzzle velocity of 1350 fps. We also have this 357 Sig - 125 gr JHP - Federal - 1000 Rounds ammo in stock in a bigger quantity.